More than 2,000 Zimbabweans displaced by xenophobic attacks in South Africa have packed their bags for home. But Zimbabwe, a country teetering on the verge of economic collapse, is unlikely to offer them the means to restart their lives. The attacks on foreigners - mainly Zimbabweans, Somalis, Malawians, Mozambicans and Nigerians - started in Durban more than two weeks ago following comments by Zulu King Goodwill Zwelithini, suggesting that African migrants in South Africa were criminals who should go back to their countries and stop stealing jobs and opportunities from locals. Labour and Social Welfare Secretary Ngoni Masoka told IRIN that the Zimbabwean government expected to receive some 2,400 returnees who had opted to return home following the attacks, but added the actual numbers returning could be higher. 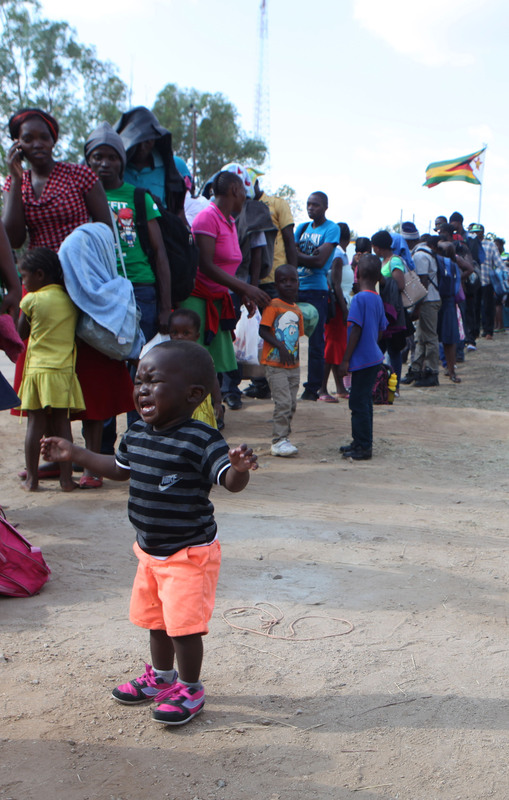 The first batch of 433 returnees arrived last week in government-provided buses at Beitbridge border post from a Durban transit camp where they were being housed following the attacks. According to Masoka, the taskforce is determining their needs, qualifications and destinations so they can be referred to provincial and district welfare officers for help with reintegration. The Zimbabwe Red Cross Society and the International Organization for Migration (IOM) are providing returnees with food and other essentials, while specialists are offering counselling and medical attention. Jairos Mangwanya, 36, is under no illusions that life back at home will be easy. He was among the first batch of returnees last week, but decided to hitchhike to Harare, the capital, after becoming impatient with delays getting on a government bus. He left his pregnant wife and two other children to follow on the government-provided transport and went ahead to organise them some temporary accommodation. Trynos Musumba, 41, who was travelling from Beitbridge with Mangwanda, had been working as a plumber in Durban and sending part of his earnings to his 70-year-old mother and unemployed sisters in Zimbabwe. He left his South African wife and four-year-old child behind in Durban. They fled Zimbabwe to look for better opportunities and are returning home to the very economic crisis they tried to run away from. Gabriel Shumba, a South Africa-based human rights lawyer who heads the Zimbabwe Exiles Forum (ZEF), said some 2,000 Zimbabweans remained in camps near Durban. Although churches, NGOs and the South African government are providing some aid, many are still in need of food, clothing, counselling and medical attention.